"This undated image made available by Science/AAAS shows one of the pottery fragments recovered from a layer dating approximately 20,000 years old in the Xianrendong cave in south China’s Jiangxi province. The discovery makes them the oldest known pottery in the world, archaeologists say. The findings, which will appear in the journal Science on Friday, June 29, 2012 add to recent efforts that have dated pottery piles in east Asia to more than 15,000 years ago, refuting conventional theories that the invention of pottery correlates to the period about 10,000 years ago when humans moved from being hunter/gathers to farming." Image Source: AP/Science/AAAS via Archaeology News Network. Speculative theorists in ancient history have long challenged academic historians on the starting date of civilization; theorists believe sophisticated human societies existed several thousand years earlier than the conventionally accepted dates (see my related posts here and here). Archaeologists are proving the theorists right. 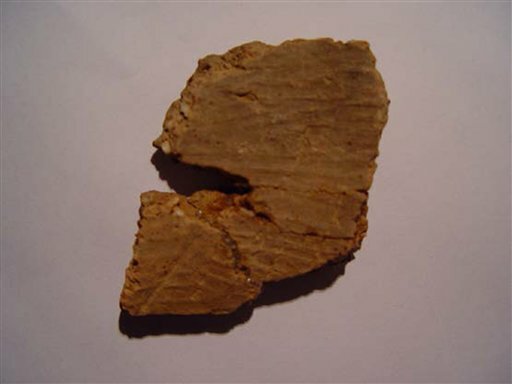 In China, archaeologists have found pottery that dates to 20,000 years ago, the oldest so far discovered. The findings were published on 29 June 2012. This finding pushes the hypothetical starting date of civilization back 10,000 years earlier than historians assumed.